Your home page is your first impression. Make it last with with high quality images, or a video. 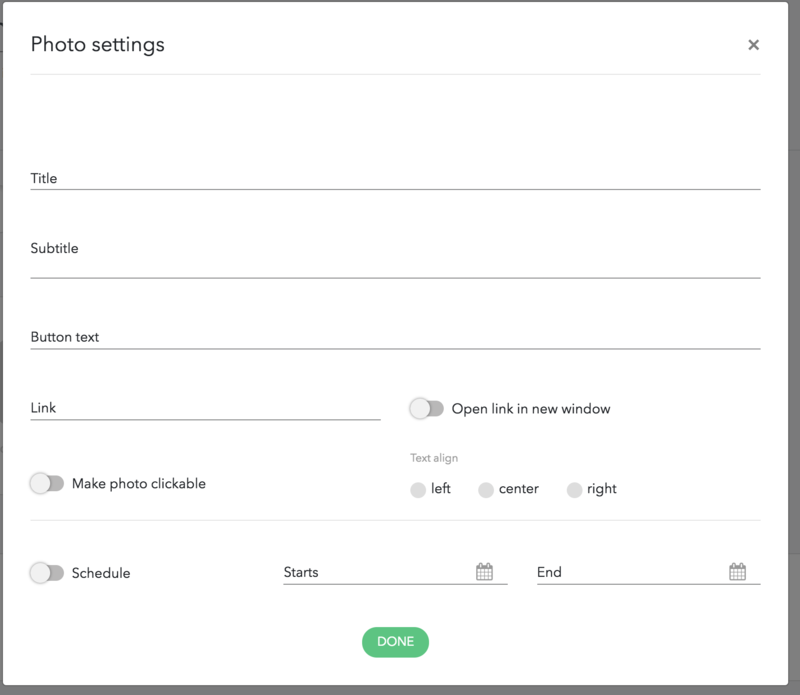 You can upload your own image, search for stock images and, depending on your edition of Obior, choose from suggested images. To add text to your home slider, hover over the image and click settings. VIDEOYou can set a YouTube or Vimeo video as your Home. It's also possible to add a title and a button (use http:// for the link).